Amazing and very cool, smiling, personalized toy cars are waiting for you KIDS in the greatest CAR WASH and SPA in the universe! Red, blue, green, KIDS, get ready to pick your awesome racing car and bring it to the best car salon! Yes, this is the place where your dream car is going to be transformed into a real star. Kids, are you ready to make it rock? A new world of special car is here just for you. All you have to do is to take this challenge now, to follow all the hints and you will get there in just a few second! And let the fun begin by entering the car wash and spa game. Your car friends are waiting to meet you ‘cause they want to look wonderful. You can pick your favorite type of car, the color you prefer and you are in! Start having fun by washing, continue with all the necessary spa steps and turn your sad car into a masterpiece, into a king of the rodes. And wait! There’s more for you! A great collection of car tattoos are here for you. Pimp up your ride and let the world admire you! Car Wash and Spa is the best game for you and your friends too! 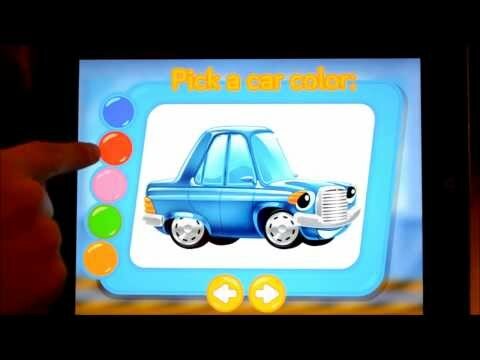 Play together and enjoy this cool car game! - awesome and full of life graphics - our cars really smile! - step by step hints with what to do next - it will be really simple kids! - learn how to make your car clean and sparkling! - make your car smile!